HI! 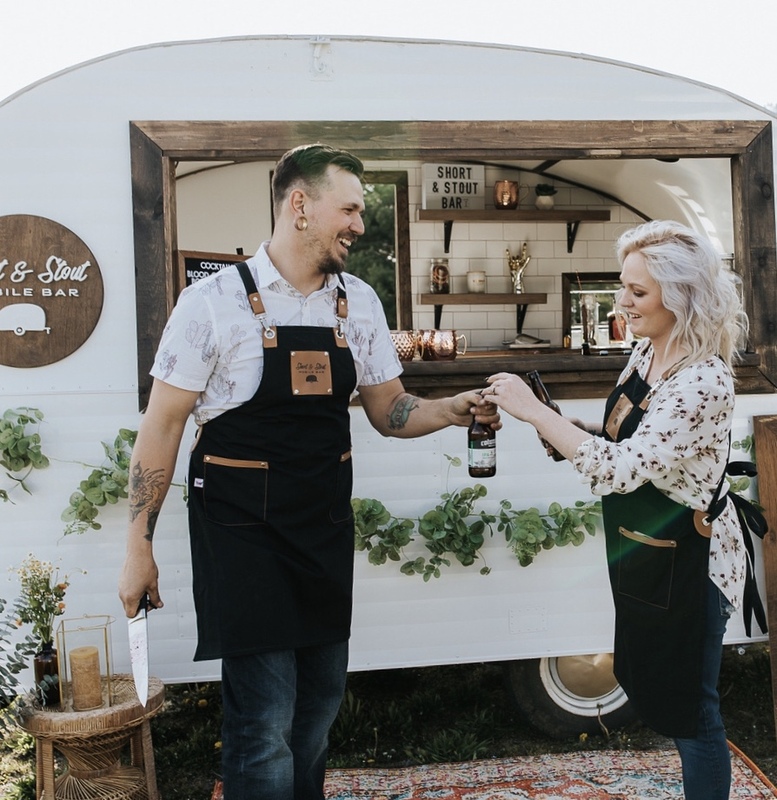 WE'RE LEHNE AND DALLAS RUNYON, THE OWNERS OF SHORT AND STOUT MOBILE BAR. WE GOT THIS LITTLE IDEA aPRIL OF 2017 AND RAN ALL THE WAY TO THE FINISH WITH IT. WE BUILT OUR BAR IN 86 DAYS (WITH THE HELP OF A FEW FRIENDS) AND LOVED IT EVER SINCE WE STarted! we both have a taste for quality and love for a great cocktail. in 2013, we graduated from culinary school with a degree in baking and pastry. combined we have over 10 years in the hospitality industry. we're a husband a wife team with two crazy kids IRELAND (8) AND lILY (2) - WE BOTH HAVE FULL TIME JOBS AND RUN EVERYTHING WITH SHORT AND STOUT, WE LOVE STAYING BUSY! WE'VE RECENTLY PARTNERED WITH A LOCAL FARM TO BRING FRESH INGREDIENTS TO OUR COCKTAILS! WE CALL THIS THE FARM TO COCKTAIL MOVEMENT AND WE CANT WAIT FOR YOU TO TASTE THE DIFFERENCE. SEND US AN EMAIL SOMETIME - WE WOULD LOVE TO CHAT!